A project to create an information hub about the Battle of Edgehill has been awarded £71,800 by the Heritage Lottery Fund. The volunteer-led project is based in St Peter’s church Radway, Warwickshire and will provide information about what the battle for visitors to the church and village of Radway. The information hub will tell the story of the Battle of Edgehill in a variety of interactive ways: A touch-screen display will provide an introduction to the battle and enable visitors to hear actors in period costume tell the story of the battle and its effect on local people; there will be displays of artefacts and a number of life-size figures dressed in authentic costume. Further information will be provided through a dedicated website. The Battle of Edgehill was the first major battle of the English Civil War, and was fought all around Radway, but no information for visitors exists locally. This project will provide information for visitors in a graphic way which is suitable for all ages and levels of interest. Commenting on the award Brian Douthwaite, project manager, said ‘We are thrilled to have received the support of the HLF and are confident that the project will provide much needed information for visitors. 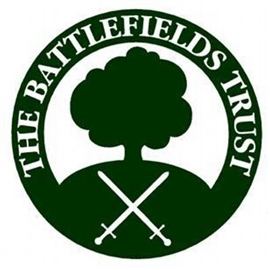 We have received widespread support, from individuals, from the local Kineton History Group, from the Battlefields Trust and from local schools who see it as providing material for their school curriculum’ . Fought on Sunday 23rd October 1642, the Battle of Edgehill saw the army of the Earl of Essex, the parliamentarian Lord General, and the King’s army clash in the first major action of the Civil War in England. It was fought in the open fields between the villages of Radway and Kineton, Warwickshire. The battle was intended to be the one great battle to decide the war. Although often viewed as an indecisive battle, in effect a bloody draw, the king actually gained an important advantage. Essex failed to break through and had to retreat northward, to the security of the parliamentarian garrison at Warwick. This left the royalists in command of the road to London, and control of the capital was the key to the war.